These days so many people want get more raw food & superfood into their diet, and everyone is looking for a way to make it a little easier. This may partially explain why Nutribullet, a small food extractor, has gained popularity in recent years. 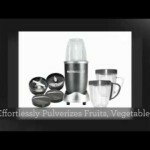 According to many nutribullet reviews, the blender is more convenient and relatively low cost, and also comes with some extra power this time around. 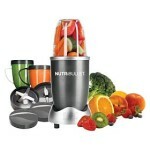 What are the features of nutribullet? 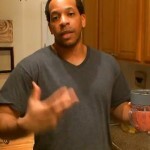 – Pocket nutritionist & manual that feature several tasty but healthy recipes. – Patented blade design to allow cyclonic action. What are the pros of nutribullet? 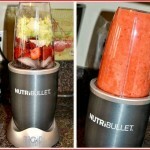 If you prefer a blender that you can carry along to work or vacation, nutribullet may be a good option. It is significantly smaller and lighter compared to the heavy-duty food extractors and you can find an insulated carry system on the market that both the extractor and its parts pack into easily, which makes transporting it more convenient. Probably the most compelling benefit of buying this food extractor is its relatively reasonable price. Nutribullet reviews have compared it to most blenders offered by competitors and concluded that it’s an affordable option but is still powerful enough to produce exceptionally smooth smoothies. While the nutribullet is not self-cleaning, it’s rather easy to clean. Its cups and lids are all dishwasher-safe and can easily be washed on a normal dishwasher. Alternatively and depending on your preference, you can hand-wash them with some warm soapy water. Another advantage of the blender is that it offers convenience. It allows you to throw several different ingredients and have them liquefied quickly which means that you are more likely to use it daily and enjoy the benefits of fresh produce. 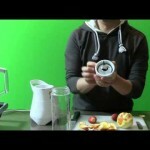 What are the cons of nutribullet? 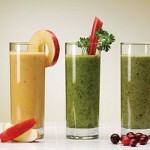 When looking to buy a smoothie maker, one of the most important things to consider is the length of the warranty. In most cases, the longer the warranty the better as it is an indication of the manufacturer’s confidence in their products. 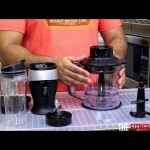 According to many nutribullet reviews, the blender comes with a standard one-year warranty that doesn’t seem that compelling especially when compared to other similar models on the market. While the blender’s cups are phthalate and BPA-free, they are still plastic. To prevent chemicals from leaching into your smoothie, you may need to avoid putting hot food into the cups or storing smoothies in them. Alternatively, consider buying a blender that comes with a glass pitcher. 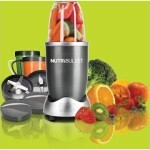 Many nutribullet reviews recommend this high speed blender as a good lower-cost substitute before you can afford one. Its convenience, portability and ease of cleaning make it ideal for those who want a hassle –free experience when creating smoothies, but due to its short-term warranty and plastic cups, you may want to look at other options before deciding to get the extractor.